Tell us a little bit about Ashley Brooke Designs. What exactly do you do and how long have you been doing it? 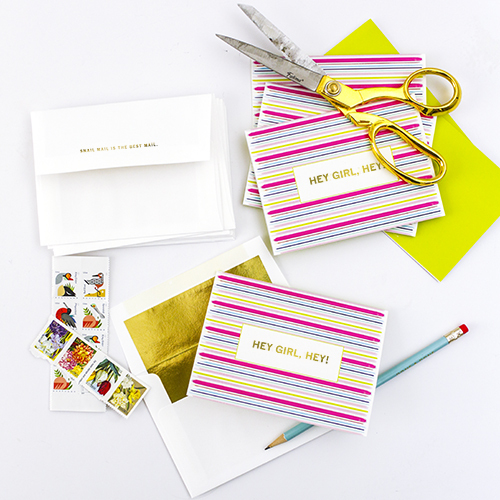 Ashley Brooke Designs is a Creative Studio and Blog, we specialize in fun and fancy desk accessories that brighten the everyday! We like to think of ABD as a little bright spot on the Internet! We blog almost daily about things that are happening in our lives, new designs, products we love, and of course behind the scenes peeks at what we are up to in the ABD studio. We are all about the fun, all the time! Also, I started ABD 8 years ago, and it’s been the best and hardest thing I’ve ever done! 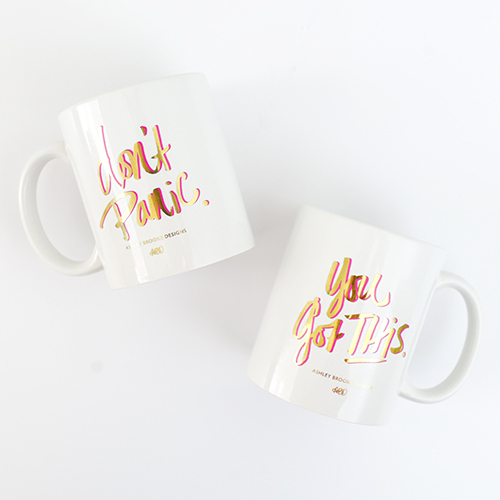 Ashley Brooke Designs offers stationary, coffee mugs, desk calendars, and more. Do you have a have a favorite product that you offer? Oh gosh! That’s like choosing a favorite child! I don’t have a favorite, but I will say that I LOVE our coffee mugs! 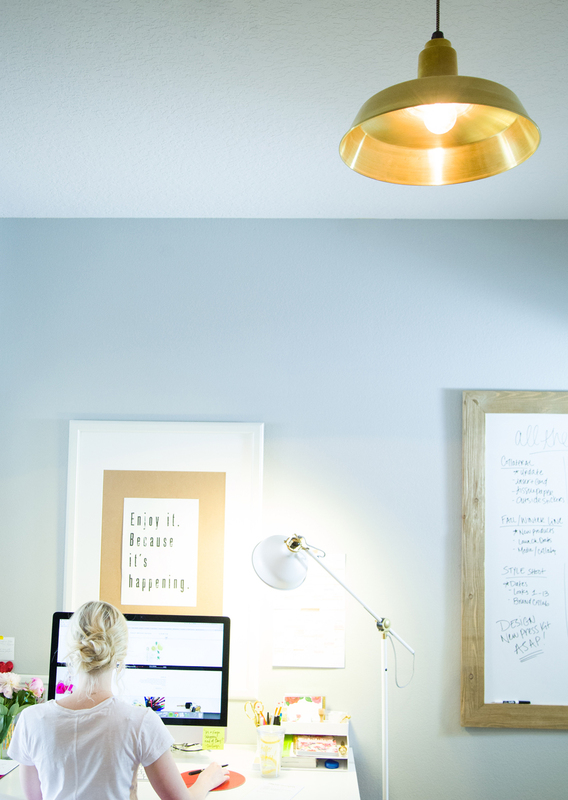 As the owner and creative director of Ashley Brooke Designs, what does a typical workday look like? 6:00 – 8:00 Gym, House Chores, Breakfast, Devotions, etc. 9:00 -12:00 Emails, Morning Meetings, Blog Posts, etc. 7:00 0- 9:30 Make Dinner, House Chores, and Get ready for bed! You’re so busy! 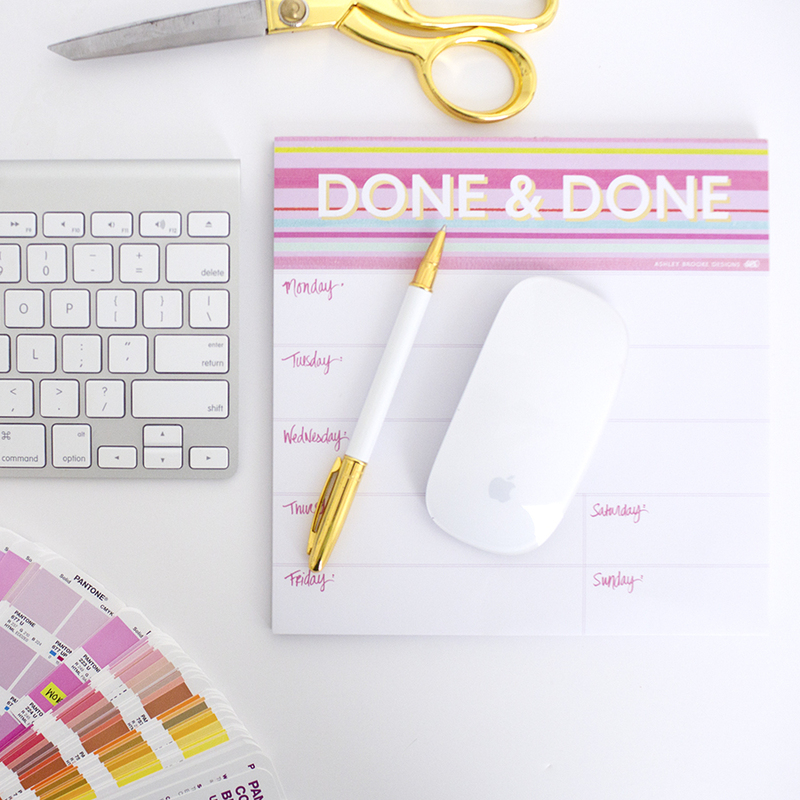 How do you stay organized? Ha! I have 3 calendars! I use my i-cal, a desk planner (right now I’m using the simplified planner) and I also have a printed out monthly calendar hanging next to my desk! I do my VERY best to keep it all together, but the struggle is real! What are three apps or services that help you run your business more efficiently? Messages app on my computer… gosh, that thing is the best! How do you stay balanced with your career and personal life? My husband and I work together, so it can be hard to separate work and play, but we’ve found that if we schedule out date nights and create structure around our day we are in much better shape! How do you define success as an entrepreneur? Oh gosh, that is the hardest question! I think I felt success when we were able to support ourselves. But it also felt like success when the first person bought the first product…so you know, it’s all about perspective! !